Fifty innocent people lost their lives in last week’s terrorist attacks in Christchurch, New Zealand. Dozens of other Muslims, who had gathered at local mosques to perform the Friday prayer, survived the assault with injuries. There were many historical references on the murder weapons and in a manifesto that the suspected terrorist published online. The number of times he mentioned both Turkey and myself was both curious and worth deeper consideration. In the wake of the New Zealand attack, Turkish authorities discovered that Brenton Harrison Tarrant, the alleged gunman, had visited Turkey twice in 2016 and spent time in various parts of the country. Moreover, we established that Tarrant traveled to a number of other places — including Morocco, Israel and Croatia. Turkish intelligence and law enforcement agencies, in cooperation with New Zealand and others, continue their efforts to shed light on what happened and to prevent future attacks. The Christchurch massacre’s alleged perpetrator attempted to legitimize his twisted views by distorting world history and the Christian faith. He sought to plant seeds of hate among fellow humans. As a leader who has repeatedly stressed that terrorism has no religion, language or race, I categorically reject any attempt to associate last week’s terrorist attacks with the teachings, morals or maxims of Christianity. If anything, what happened in New Zealand was the toxic product of ignorance and hate. This is not the first time the Turkish people have witnessed a gross distortion of history in the hands of terrorists. Viewing history through the lens of its radical ideology, the self-proclaimed Islamic State, a terrorist organization that has killed thousands of predominantly Muslim civilians in recent years, called for the “re-conquest” of Istanbul — much like the Christchurch attacker, who pledged in his manifesto to make the city “rightfully Christian owned once more.” The Islamic State similarly vowed to destroy the Republic of Turkey — one of the reasons Turkish troops cracked down so hard on the terror group in Syria. 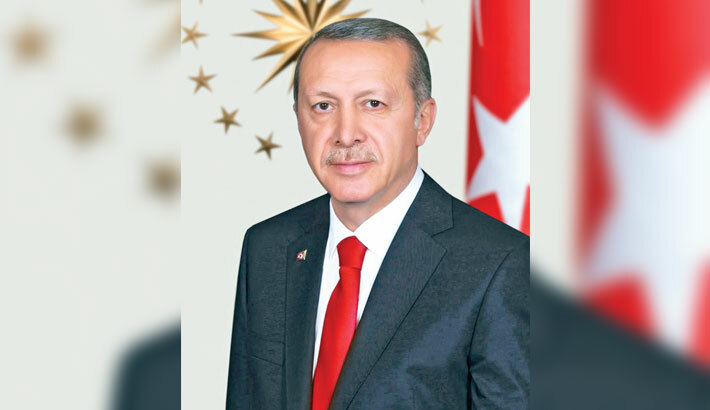 In this regard, we must establish that there is absolutely no difference between the murderer who killed innocent people in New Zealand and those who have carried out terrorist acts in Turkey, France, Indonesia and elsewhere. After attacks by the Islamic State, there was no shortage of Western politicians and commentators blaming the most deplorable acts of terrorism on Islam and Muslims — people whose opinions are very much aligned with the Australian senator Fraser Anning. At the time, we objected to the association of our faith with terrorism, and pledged to disallow any attempt by terrorists to hijack our religion. Unfortunately, Islamophobia and xenophobia, among other practices incompatible with liberal values, were met with silence in Europe and other parts of the Western world. We cannot afford to allow this again. If the world wants to prevent future assaults similar to the one in New Zealand, it must start by establishing that what happened was the product of a coordinated smear campaign. It should go without saying that the Turkish people won’t just abandon their centuries-old homeland because the terrorists demand it. Nor will we ever let deranged murderers talk us into targeting any religious community, nation or group. Heir to the Ottoman Empire, which was a member of the European family of nations for centuries, Turkey joined the alliance against terrorism immediately after the terrorist attacks of Sept. 11, 2001. Having joined NATO more than 60 years ago, we consider it our strategic goal to become a full member of the European Union. By the same token, we will continue to cooperate with our friends and allies in the fight against all terrorist groups. In the aftermath of the Christchurch massacre, the West has certain responsibilities. Western societies and governments must reject the normalization of racism, xenophobia and Islamophobia, which has been on the rise in recent years. It is crucial to establish that such twisted ideologies, such as anti-Semitism, amount to crimes against humanity. Moreover, we must shed light on all aspects of what happened and fully understand how the terrorist became radicalized and his links to terrorist groups to prevent future tragedies. Finally, all Western leaders must learn from the courage, leadership and sincerity of New Zealand’s Prime Minister, Jacinda Ardern, to embrace Muslims living in their respective countries.